Further tales of the World’s Greatest Consulting Detective! My thanks go out to Steve and Timi at MX Publishing for my copy of this book! God Bless! The bulk of the stories I this volume either have appeared in a volume of The MX Book of New Sherlock Holmes Stories or are or scheduled to do so. This is their author’s collection of his works and there are two stories that are unique to the book. 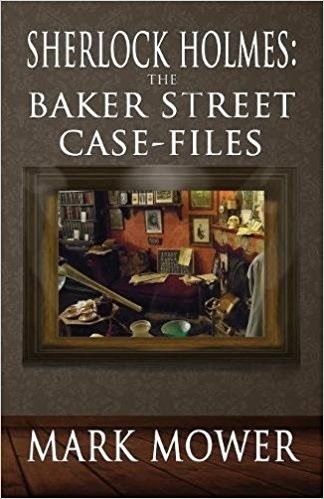 For those that haven’t read Mark Mower’s contributions to the MX series, this will be a delightful introduction to the author’s take on Sherlock Holmes! The stories are all well plotted and written to closely resemble the original canon. For me the story that wins best in book is “The Strange Missive of Germaine Wilkes.” A message sent in code alerts Holmes to the real character of Professor Moriarty. Moriarty is already on Holmes’ radar, but now Holmes is beginning to realize the scope of the danger that the Professor represents. I thought it a fitting introduction, as per Watson’s notes that this is when Holmes first began to see the Napoleon behind the crimes. All in all, this makes a nice little volume to highlight Mark Mower’s talents! I give the book five stars!